Q. One of my players keep getting a travel call everytime he does the spin move. I used to do this move when I used to play but never get called for travelling. I just don't understand why when it's still a two step drive, the only differences he is spinning rather than driving straight to the basket. A. Clearly, it is difficult for me to give you all information without actually seeing the spin move you talk about. However, in what you describe below, if the player has two feet on the floor when in possession of the ball and not dribbling, and takes "two steps" as you mention below, then it would be a travel. He can't pick-up his pivot foot and return it to the floor before he releases the ball. Your feedback on this MABO article is welcome! Post your comments below and check back later to view other comments or replies! 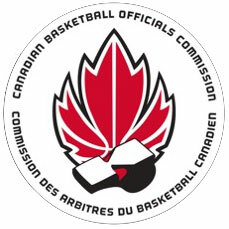 The Manitoba Association of Basketball Officials is an arm of Basketball Manitoba and a branch of CABO. They make province wide rulings and selections for provincial tournaments and are responsible for the growth, organization, and development of Manitoba basketball officials and, in partnership with Basketball Manitoba, offer a number of programs and services beneficial to basketball officiating in the province. TOGETHER WE GROW BASKETBALL! Get involved in basketball as a minor official. Watch the Basketball Manitoba Scoreboard Video Series to learn about the finer details of minor officiating. WATCH NOW!